Limited time offer for Home Cleaning in Miami -- 30% off your first booking! My name is Joel and I am young professional in Miami I service from Miami to Fort Lauderdale I have over 5 years experience. I have done simple to luxury homes and worked with celebrities as well. I am honest and trustworthy! Book me for any service from home cleaning to post construction and if you have a business that requires cleaning frequently I can manage that as well! Handy is passionate about putting you in touch with the best cleaning services in Miami. Our goal is to introduce you to house cleaning experts who’ll take care of your cleaning chores and help you make the most of your time. Since 2012, our platform to connect you with the best house cleaning has helped everyone from homeowners to renters enjoy more comfortable homes and happier lifestyles. Why not book your next home cleaning online with Handy, and see how much precious downtime you get back? Abe's work is great! Is the second time he gave us his service and we can't complain. He is very profesional, is always here on time and cleans very well. Would totally recommend him. Deeneka was ontime, professional, courteous and extremly fast. I appreciate her professionalism and cleanliness and would recommend her. I paid for 3 hours and he only stayed for 2 from 12:20 to 2:20pm. Please credit my account for an hour. Alicia was amazing! She was so personable; it made the experience much easier. She was very detailed and so clean. I couldn’t have had a better experience than I did today. Thanks girl! Thank you again, Maria. I apologize again that I couldn't be there to welcome you in. I knew I could trust you to take care of me. Gabriela did an amazing job! I home school my kids and she was able to work around us with minimal distraction, so the kids were able to focus on their work. She was very nice, and left the house smelling nice and looking sparkling clean! He does an amazing job and takes a lot of pride in his work. I've had a lot of cleaners over the years and he is one of the very best! Why choose Handy for Miami house cleaning? Our housekeeping services are a fast, convenient way to keep your home spotless. We know maintaining a good work-life balance can be difficult, especially when you have a family to raise. Plus, in your free time, the last thing you want to be doing is cleaning floors and vacuuming carpets. That’s where we can help. Across the city, folks are using Handy to connect with professional house cleaning services and find more time for the things they really enjoy in life. For your peace of mind, all home cleaners in Miami on the Handy platform are background checked. Rather than going on Craigslist or relying on a ‘friend of a friend’ to clean your house, you’ll get an experienced pro every time. Book a home cleaning service with our Handy app and schedule one of Miami’s top-rated house cleaners to arrive at your home as early as tomorrow, depending on their availability. If your plans change and you need to rearrange your home cleaning services, just let us know at least 24 hours in advance of your scheduled appointment and we’ll reschedule for you. We’re also very affordable. You’ll be pleasantly surprised to know that we’re a lot cheaper than many regular cleaning companies in Florida. 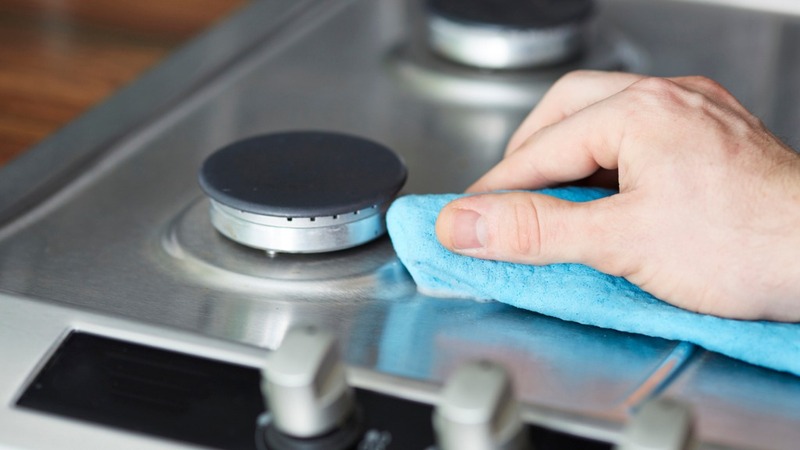 We can also arrange a cleaning service for items like ovens, fridges and interior windows for a small supplementary fee. These home cleaning extras can be useful if you’re a tenant coming to the end of your lease and need a cleaning lady to provide a thorough move out cleaning. Who can use Handy to find house cleaning services in Miami? You can request a home cleaning professional anywhere in Miami, from Downtown to Coconut Grove and South Beach. Apartment cleaning services are also great for homeowners that need a professional cleaning service before a new lease, or tenants that don’t have time to do their own home cleaning. With instant access to cheap cleaning services, you can look forward to a clean and tidy home every time. We’re committed to giving you the best cleaning services at the lowest prices. Have you ever felt that you don’t have enough time to enjoy this wonderful city? Then professional Miami cleaning services can make your life a whole lot easier. With a cleaning service in Miami booked through Handy, you can make time to do all the things you love, whether it’s sunbathing on Miami Beach or dining out at that fabulous little Cuban restaurant in Little Havana. Perhaps you have a long commute to Downtown from Wynwood and never have enough time to vacuum? Don’t worry – just book one of Handy’s professional Miami cleaners using our app or website, and they’ll take care of everything. If you live in a shared house, you won’t have to draw straws over whose turn it is to clean when you hire your very own Miami cleaning professionals. We give you instant access to the best cleaning service professionals in Miami with just a few clicks. We understand how precious your free time is. That’s why Handy pros can take care of your house cleaning in Miami while you relax in the pool, go for a drink at an upscale bar in Coconut Grove, or head out of the city to the scenic Everglades. Your home cleaning in Miami could also give you more time to shop at your favorite mall or visit family and friends. Perhaps you’ve always wanted to host a dinner party but the thought of spending hours cleaning your home before and after your guests arrive has always put you off? When you book the best home cleaning cleaning service in Miami through Handy, you’re in safe hands. Professional cleaners, backed up by our Handy Happiness Guarantee, will make sure your home is spotless before your guests arrive. For a reliable home cleaning service in Miami with a professional touch, Handy’s here to help. Browse our site and find your own personal Miami cleaning professionals today.